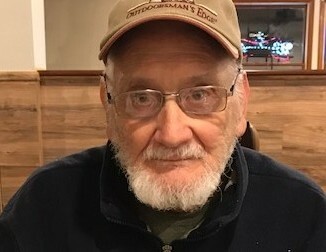 Obituary for Jacque "Jack" G. Brown | Dimon Funeral Home and Cremation Services, Inc.
Jacque G. "Jack" Brown, 87, passed away Monday evening at the Hershey Medical Center. Born in Muir, February 22, 1931, a son of the late Harvey and Ethel Updegrove Brown. He was a graduate of the former Porter Tower High School. Jack was a Army Veteran of the Korean War. He was a retired custodian from the Williams Valley School District. He was of the Protestant faith and a member of the NRA. Jack enjoyed hunting and being in the outdoors. In addition to his parents he was preceded in death by his wife Marie Kreiner Brown, 2011 and a brother Bill Brown. Surviving are his son, David Brown and his wife Stacy, Herndon; two grandchildren, Jenelle Brown and Jason Brown; one brother, George "Peanut" Brown and his wife Betty, Tower City; Nieces and nephews. Graveside services will be held 11:00 am, Friday, November 30th from the Methodist Cemetery, Muir, with Pastor Amanda Bressler. Memorial donations in his name should be made to the Grace United Methodist Church, Wiconisco Street, Muir, PA 17957.